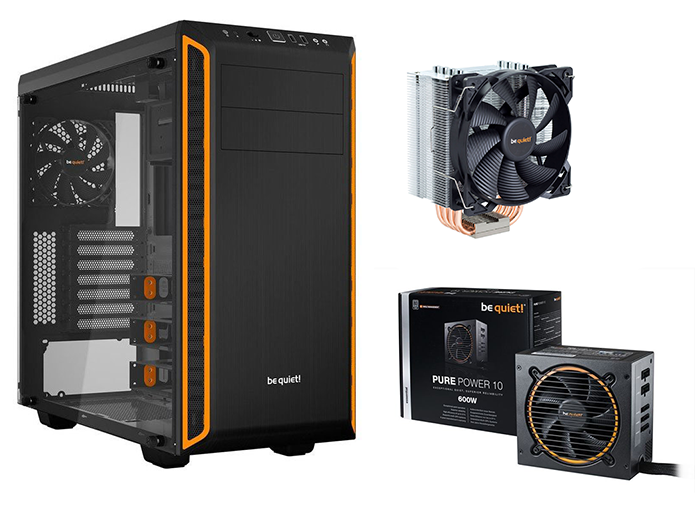 Hexus has teamed up with Stormforce to gift 1 of their fans with brand new gaming bundle. To enter in this be quiet! PC Upgrades 2018 Giveaway grab your free entries by following few simple steps listed down below! Pure Power 10 CM offers 600W of continuous power with two independent 12Vrails for signal stability and four PCI express connectors for multi-GPU systems. It is suited to very quiet systems, for upgrading or building multimedia or multi-GPU gaming systems. Pure Power 10 600W is certified 80PLUS Silver with an efficiency rating of up to 91% – a truly outstanding level for this class of PSU. The most compelling benefit: lower power consumption and consequently lower costs, and cooler, quieter operation. The use of Active Clamp and Synchronous Rectifier technologies provides very stable operation. The PSU is equipped with DC-to-DC conversion for even tighter voltage regulation under heavy cross-loading conditions. This ensures secure operation for next generation processors and graphics cards.The silence-optimized 120mm be quiet! fan is thermally governed to strike the best balance between effective cooling and quietness. Airflow-optimized fan blades reduce turbulence, enabling best-in-class quiet functionality and the almost inaudible operation that be quiet! is famous for.